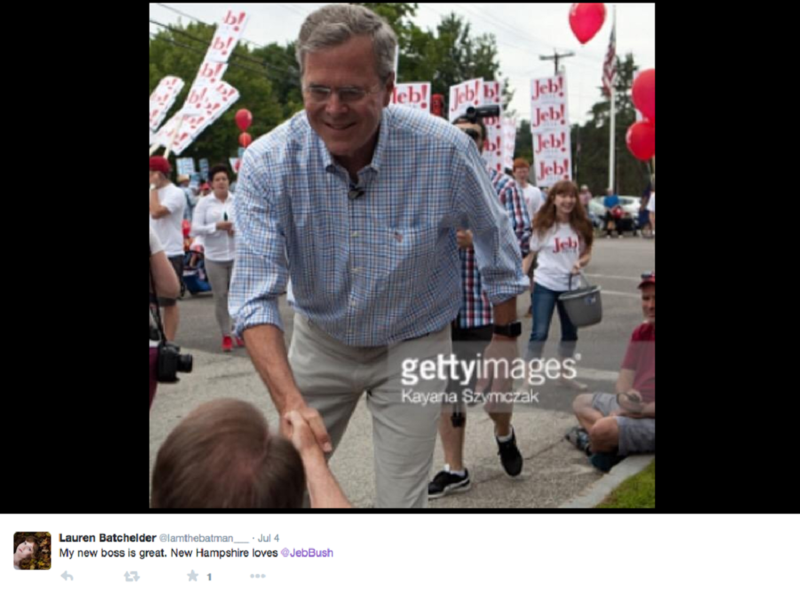 A young woman who asked Donald Trump about income equality and women’s health at a convention in Manchester, NH yesterday has been confirmed as a Jeb Bush intern; perhaps a plant for his campaign. Despite being the heir apparent of the Bush dynasty, Jeb has dropped in polling, with only 32% of Republican voters holding a favorable view of him. 35% of GOP voters favor Trump. Interestingly, Rage Against the Machine bassist Tim Commerford gave an interview for Rolling Stone where he speculated that Trump was a shill, and that Bush will likely be the nominee at the last minute. Oh, I’ll tell you what’s going to happen right now. He (Trump) has united these racist people in America to focus on immigration and at the last minute — mark my words — he’s going to drop out and he’s going to hand the sword over to Jeb [Bush], and Jeb will get all the supporters that Trump has.